This includes the role of the blood test known as OSA or Prostate Specific Antigen in the diagnosis of this prevalent condition. Terms you need to understand include lead time and length time bias. This means that if we diagnose a prostate cancer today versus picking up the diagnosis 1 or 2 years later, then would that make an overall difference in a loved one’s prognosis and life expectancy. There are conflicting reports in the medical literature regarding this subject. My personal take on this issue is that researchers who write these papers are in ivory towers and most concerned with cost effectiveness, which is a euphemistic way of saying “what is a life really worth?” At this time, we use a cancer screening scale known as the Gleason Score to determine the degree of aggressiveness of a prostate cancer. The score varies from 2 to 10, with 10 being the grade that is most likely to spread. When cancers are in the intermediate, range namely 5-7, the question arises whether we should treat immediately or employ “watchful waiting”. The risk with “watchful waiting” is once a cancer leaves the prostate capsule itself and spreads on to either the local lymph nodes or bone then it becomes exceedingly difficult to treat over the long term. Although we have made strides in the treatment of prostate cancer in the last few years and have several newer newer drug combinations available, the prognosis remains tenuous at best. We still are not at the point with genetic testing markers to determine who is a candidate for watchful waiting. 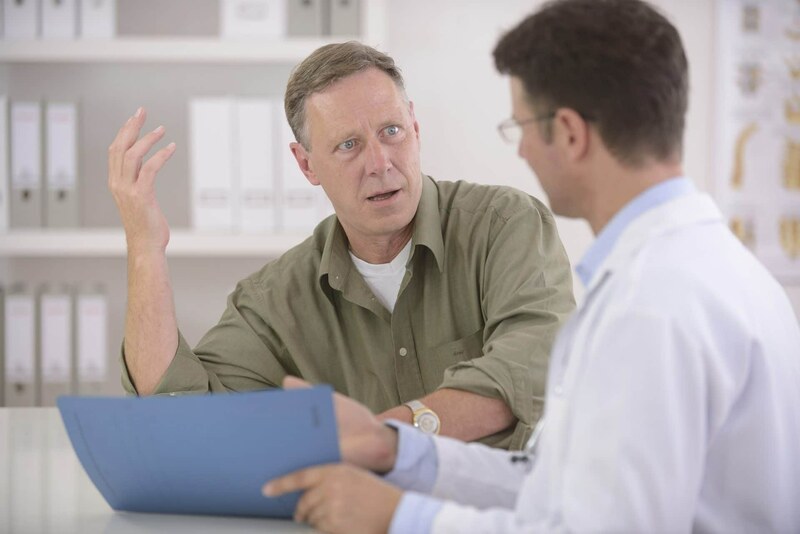 In contradistinction, if we treat I explain to patients that the two worst symptoms that you might experience would include some urinary incontinence that would require a Depends cloth for a period of time, and erectile dysfunction that generally can be treated with drugs such as Cialis or Viagra or a vacuum pump device. Although sub-optimal, I explain to patients and their families that at least you are alive. I have seen patients who have a preliminary Gleason score of 6 after their prostate biopsy before their operation and at surgery are at an 8. In these cases “watchful waiting” would have resulted in the patient’s death within a few years. So as a result, at this time I am still a strong proponent of routine screening with PSA for prostate cancer. This view is substantiated by the American Urological Society. class="post-template-default single single-post postid-4514 single-format-standard samba_theme samba_left_nav samba_left_align samba_responsive wpb-js-composer js-comp-ver-5.7 vc_responsive"